"Try very hard, young men, to imitate Jesus in His obedience. He should be your only model in this." "It is easier to become angry than to restrain oneself, and to threaten a boy than to persuade him." When I talk to my kids about the saints, I try to put them into historical perspective. St. John Bosco lived from 1815 to 1888 in Italy. He was alive during the American Civil war and in fact, lived 21 years after the death of President Lincoln. John Bosco was canonized in 1934, a mere 46 years after his death. My mother was 5 years old at the time of John Bosco's canonization. We also have photographs of this saint so to my mind, as saints go, Saint John Bosco is practically contemporary! 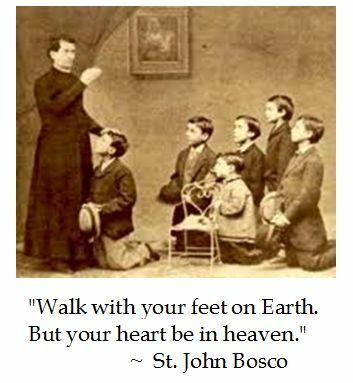 What I love about Saint John Bosco is that he was able to find such balance in his life. He loved to learn and was a very good student, but he also made it a priority to have fun with his friends, go out of his way for other people, and to learn practical skills too! I love that he taught himself to walk a tightrope and to juggle! I also remember reading somewhere that John Bosco had the opportunity to learn how to make and mend shoes and he became quite good at it. It turned out to be a skill that was quite useful to him throughout his life of service to boys and young men, who undoubtedly were very hard on their footwear. Mr. Pete shares that philosophy and always takes the time to learn a new skill, which is why he now can do almost any household or auto repair he sets his mind to! One of the important lessons Saint John Bosco's life teaches us is that it never hurts to be open to learning something new or different - you never know when it could be useful. 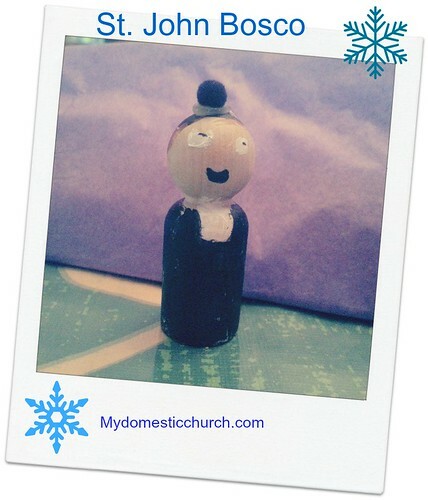 See how other Catholic families are commemorating the day here.